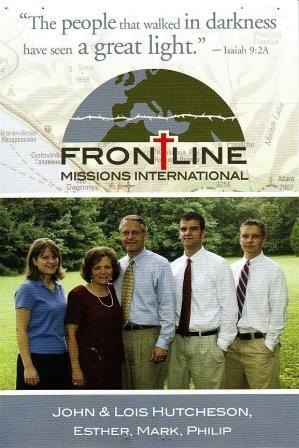 Frontline Missions International” ministers in the areas of the former Soviet Union as well as in the Middle East, Central Asia and China. The Mission Director is Tim Keesee and the Field Director and his wife are John and Lois Hutcheson. This ministry concentartes on translating and publishing Biblical commentaries and other helpful Christian books, it distributes information about the life and ministry of Evangelical Baptist believers in Russia and Ukraine, provides resources for church planting ministries, assists in evangelistic children’s camps and campus evangelism in various universities.